In this section you can find the latest news stories from italk, Southern Health NHS Foundation Trust and Solent Mind plus mental health in general. italk which is the Improving Access to Psychological Therapies (IAPT) service in Hampshire attended a wellbeing fair held by Barton College in Easrleigh. 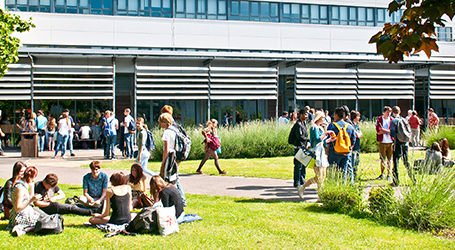 The sixth form college is one of the busiest in the area and around 3000 students choose to fulfill their academic potential there. With mental health problems and specifically symptoms of anxiety increasing over the years around the ages of 16-18, primarily because of the exams, italk attempted to reach out to those students by talking and informing them about the service. A big interest was shown by students to learn more about Computerised Cognitive Behavioural Therapy (cCBT) which is believed to be very popular within that age group. cCBT offers Cognitive Behavioural Therapy provided by an interactive computer programme. This allows you to learn about how your thoughts and behaviours influence how you feel and will teach you skills to manage difficulties through the use of practical strategies and techniques. The students were very keen to learn about the service and thus made the italk stall one of the busiest at the fair. Also some of them showed interest to engage with the service and italk was happy to inform them that some voluntary positions will be available shortly. The italk practitioners that attended the fair found it very enjoyable and beneficial for both the service and the students.